The new WXA-50 can power traditional speakers, while the WXC-50 can be paired with an existing hi-fi system. 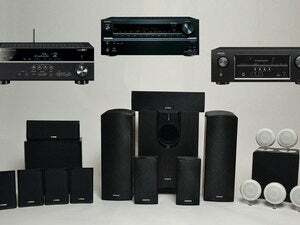 While market leader Sonos is exploring new directions, Yamaha is doubling down on its efforts in multi-room audio. 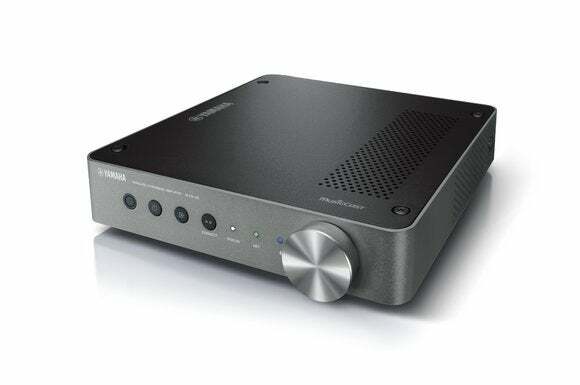 The Japanese manufacturer today announced a new amplifier and pre-amplifier for its MusicCast product line, but buyers will have to wait until August to lay their hands on them. The $500 WXA-50 will drive two channels at 55 watts each (8-ohm load, two channels driven, with total harmonic distortion of 0.06 percent). 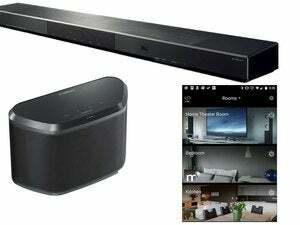 It will be equipped with analog inputs and outputs (one set of each), a subwoofer output, and a digital input (optical). The unit also promises be custom-installer friendly, with a remote input, a trigger input and output, and an ethernet adapter in addition to Wi-Fi support. The $350 WXC-50 is designed to add wireless music-streaming capabilities to an existing amp or receiver. Yamaha says its has analog audio inputs and outputs (one set of each, plus a pre-amp output), a separate subwoofer out, and optical digital inputs and outputs (one of each). It will be outfitted with the same custom-installer features as the WXA-50 amplifier. 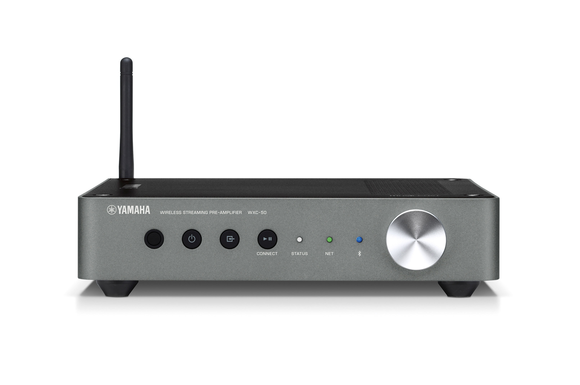 Yamaha’s WXC-50 pre-amp brings the company’s MusicCast technology to just about any receivier or amplifier. Why this matters: Sonos remains the clear market leader in multi-room audio, but Yamaha is coming on strong with MusicCast. 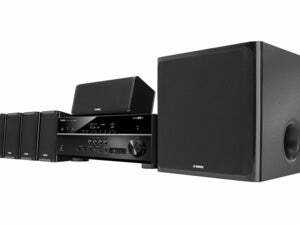 Where Sonos hasn’t moved much beyond building single-cabinet powered speakers (the company still has just one stand-alone amplifier, the Connect:Amp), Yamaha offers a broad range of MusicCast-enabled receivers, A/V receivers, and even a respectable home-theater-in-a-box. When you include its powered speakers and the two devices announced today, that’s nearly two dozen products in all.